This solid-toned dress is a nifty choice for your afternoon dates. 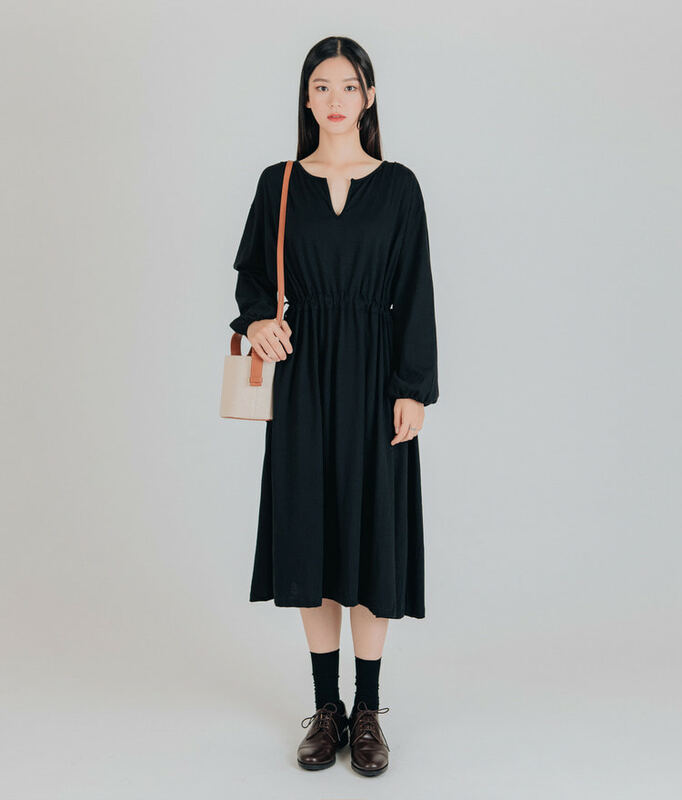 It has a split neckline, cozy long sleeves, a drawstring-fastened waist for a flattering figure, and a midi length. Opt for a sleek casual tone and match this with crew socks and leather loafers.